The ratification of the contract for the constuction of the New Airport in Kastelli (Heraklion) by the Greek Parliament is a just matter of weeks, ypodomes.com reports. According to the site's secure information, all bureaucratic procedures have been completed and the concession contract has been forwarded to the office of the Ministry of Infrastructure and Transport, Mr. Spirtzis. Based on estimates by executives of the Ministry of Infrastructure, the ratification by the Parliament will take place soon, probably before Easter holiday or shortly after. The procedure is standard, meaning that 2 sessions will be required. The ratification of the contract will not mark the immediate initiation of the construction phase. In order for the construction works to start, the modified environmental terms of the project should be approved by the Ministry of Environment and Energy, based on the TERNA-GMR consortium bid, submitted 2 years ago. Nevertheless, this is a contractual obligation on the concessionaire. At the same time, the concession will have to be approved by the European Commission, and more specifically by DG Comp. Nevertheless, even after this stage, according to well-informed sources, works will not start immediately as all the implementation studies will have to be completed and approved. In that sense, this year it is likely that we may see some first preliminary works (construction site set up works, machinery rentals, etc.) but the main construction phase will begin in 2020. The main goal will be for the new airport in Kasteli to be commerially available for the summer season of 2024. It should be noted that T1, i.e. 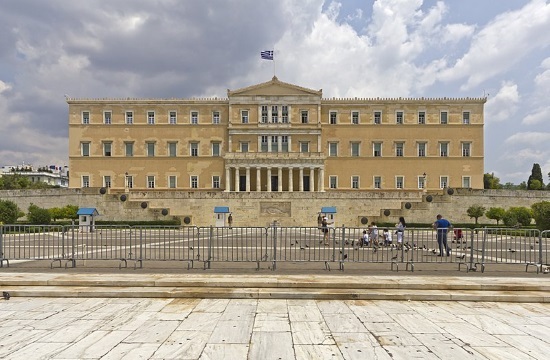 the construction period of the project has been set at 5 years from the date when the concession period has started (and not from the signing of the contract or its ratification by the Greek Parliament). In total, the duration of the concession period will have a duration of 35 years.